After Lalit Modi, ex-Commissioner of the Indian Premier League fled to London in 2010 following alleged death threats from the underworld, even as an investigation was initiated against him by the Enforcement Directorate (ED) under the Foreign Exchange Management Act, his appeal for immigration was accompanied by the opinion of two former Supreme Court judges who said his passport had been wrongly revoked by the passport authorities on the request of the Enforcement Directorate (ED). 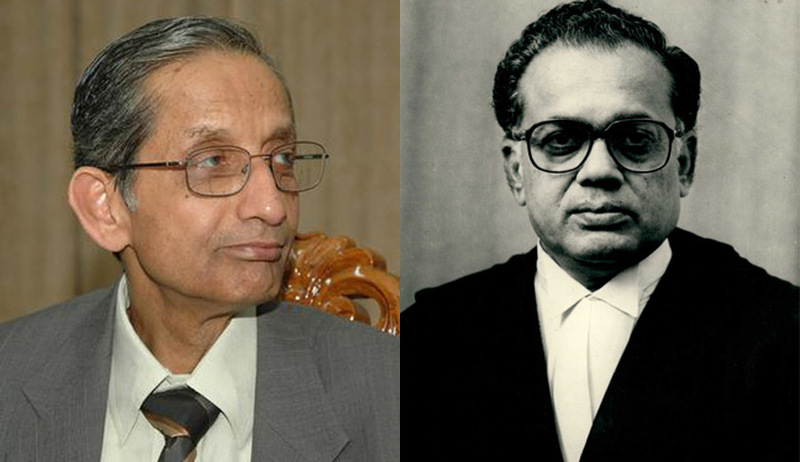 Justice S B Sinha and Justice Jeevan Reddy, two former judges of the Supreme Court supplied legal opinion for Mr Modi's team and said the Enforcement Directorate was guilty of over-reach in "insisting upon the physical presence of Mr Modi" who had offered to appear to answer charges of corruption via video conference. The ED had issued summons to Lalit Modi on August 2, 2010 asking him to produce certain documents and appear in person on August 10, 2010 to which his attorney replied seeking exemption from personal appearance in view of security concerns. Though Lalit Modi had offered to get himself examined through video conferencing, the same had been apparently rejected by the ED which requested the Assistant Passport Officer in October 2010 to take action in public interest to revoke Lalit Modi’s passport. After a hearing conducted by the Regional Passport Officer (RPO)in November 2010, the said authority passed an order in March 2011dismissing the contentions of Mr. Lalit Modi and revoking his passport. The RPO held that interrogation of Lalit Modi was warranted in the case. Though the said order was challenged before the Chief Passport Officer (CPO) the appeal was also dismissed in October 2011. A writ petition filed by Lalit Modi before a single judge of the Delhi High Court challenging the orders of the RPO and CPO was dismissed following which he preferred an intra-court appeal to the Division Bench. It was at the stage of the writ appeal that Lalit Modi through his team of lawyers had sought the opinion of Justice S B Sinha and Justice Jeevan Reddy seeking to know inter alia whether Section 10(3)(c) of the Passports Act insofar as it provided for revocation of passport was violative of Articles 14, 19 and 21 of the Constitution and in the alternative, whether the orders passed by the RPO and CPO were contrary to the purpose of the Act and violated the rights of Lalit Modi under Articles 14 and 21 of the Constitution. Justice S B Sinha tendered his legal opinion to the effect that the orders passed by the RPO and CPO were susceptible on various grounds pointed out by him in his opinion, and inter alia that irrelevant considerations weighed with the passport authorities in passing orders revoking the passport of Lalit Modi. After surveying the various precedents on the scope and ambit of judicial review, Justice Sinha had also opined that the single judge misdirected himself in law in passing the judgment confirming the orders of revocation passed by the passport authorities. Justice Sinha however opined that Section 10(3)(c) of the Passports Act is constitutional. Interestingly, Justice Jeevan reddy in his opinion took a diametrically opposite view on this particular issue, saying that the said section is discriminatory and therefore violative of Article 14 of the Constitution. It may be recalled that a Division Bench of Delhi High Court ruled in August last year that Mr Modi's passport should be restored, stating that the Foreign Exchange Management Act or FEMA, which Mr Modi was accused of violating, does not require Mr Modi's personal appearance and that he can be represented through a lawyer or chartered accountant. The High Court said that if necessary, Mr Modi could be interrogated by video conference from London. In its verdict last year, the Division Bench of the Delhi High Court also rejected the government's argument that Mr Modi's passport should be revoked because India's obsession with cricket makes the cases against Mr Modi highly sensitive and of vast public interest.